Precision crafted lower door moldings provide sleek visual texture to your Prius� exterior appearance. Shaped perfectly to fit the contours of your vehicle, lower door moldings feature a bright chrome finish accented with a hybrid badge. 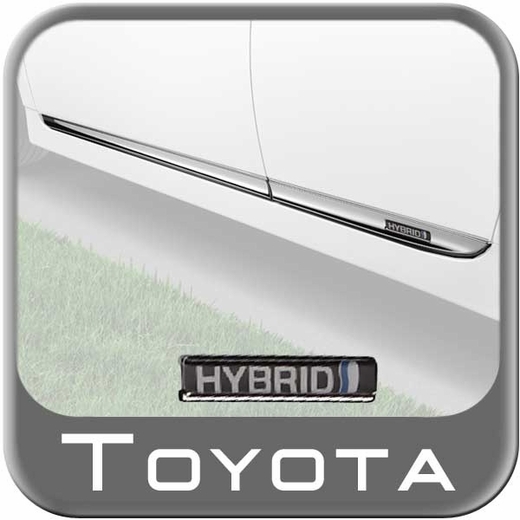 Provides upscale decorative enhancements to the bottom of the Prius� driver and passenger side doors. Injection-molded for a precision fit.